There’s an old Chinese tale of a farmer. He lived in a small rural community and had farmed traditional crops like corn and wheat of his life, just like his neighbours. But this farmer wanted more than what his neighbors had, so he started researching alternative crops. After studying a variety of options, he decided on bamboo. The climate, soil conditions and equipment at his disposal could make growing and harvesting bamboo a profitable business. He was convinced he was making the wisest choice and began making the changes needed to become a bamboo farmer. Upon telling his fellow farmers his idea, they mocked him, calling him foolish, all the time warning him of his impending peril. However, our farmer remained unshaken, he had done extensive research and was confident that he was making the right decision. 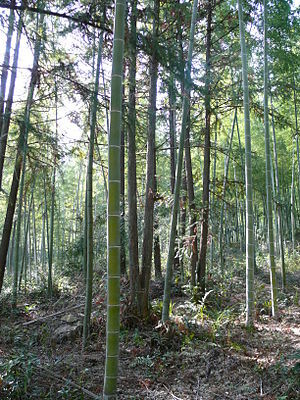 If you know anything about bamboo, you know that the first year after it’s been planted, nothing happens. You don’t get so much as a twig or a leaf! His neighbors mocked him. They had all harvested their crops while he had nothing at all to show for his efforts. He was undaunted and confident in his decision. The second year nothing happened either, not a sign of a bamboo tree anywhere. Again he was forced to endure a year of ridicule by his heartless neighbors. And a third and a fourth…. Then suddenly, his crop grew a foot a day! By the end of the fifth summer he had a virtual bamboo forest. He harvested his crop and sold it for a huge profit. His neighbors were astonished. It looked as if it happened overnight. Or so it seemed. Did the plants lie dormant for four years only to grow exponentially in the fifth? Or, were they silently growing underground, developing a root system strong enough to support its potential for outward growth in the fifth year and beyond? The answer is, of course, obvious. Had the trees not developed a strong unseen foundation it could not have sustained its life as it grew. Had the farmer not continued to nourish and love the farm with his implicit faith, they would have died without ever seeing the sun’s love. Sometimes, we have a goal and take action towards that goal, but it looks as though we aren’t making progress. Perhaps it’s a business that hasn’t taken off yet. Or a blog that’s yet to find an audience. It could even be a parenting goal that has yet to be fully realised. Let me encourage you today to hang in there. If your goal is noble and your actions right, the day will come when you will reap a harvest. And everyone will look on in amazement at your sudden success that actually took years to realise. What goals are you working towards that you need to persist with? Next post – Which Navy Seal Makes it Through Training? Thanks Art, yet it does pay off. Building the foundation deserves the proper gift of time and patience, yes it does! I have stuck to my goals, my passions, about what I wanted to do with my blog, and it is progressing steadily while adhering to my values. Excellent Rose, stick with it, the pay-off will come. Thanks…great story.,started up a few new businesses and patience is one of my worst vices! I will keep remembering the bamboo farmer!! !